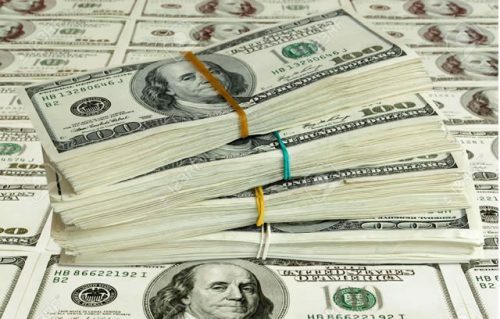 Nigeria’s (B1 stable) dollar liquidity constraints are likely to persist for the foreseeable future, despite the recent improvements in foreign exchange earnings and availability, Moody’s Investors Service said in a report today. The oil price shock in 2014-15 more than halved Nigeria’s foreign exchange earnings, with exports falling from an average of around $90 billion between 2013 and 2014 to $46 billion in 2015. The drop in export earnings was compounded by attacks on oil infrastructure in the Niger delta region that reduced production volumes. Over two years, Dollar usage in the economy has almost halved. Nigeria’s non-oil sectors have struggled to adjust to limited dollar liquidity, given the typically high import content of inputs and the delay associated with sourcing domestic substitutes. In the first quarter of 2017, the Central Bank of Nigeria (CBN) began to increase the availability of foreign exchange through two new exchange rate windows and interventions in the interbank market. The change in policy has had a significant impact, driving a steady decline in the spread of the parallel rate over the official rate. It also coincides with a sustained recovery in oil production, signalling that the worst of the damage to growth and external accounts from the oil price shock has passed. In Moody’s view, the improvement in foreign exchange availability is more cyclical than structural. First, the recent increase in foreign exchange reserves has been heavily supported by $1.5 billion in international debt issuances, rather than non-oil exports. More importantly, it is the recent rebound in spot oil prices and the recovery in oil production since the fourth quarter of 2016 which will support dollar availability this year. Central bank policies have helped to ensure the improved foreign exchange earnings have been distributed into the wider economy, but it is highly unlikely that the CBN would pursue these policies if the fundamentals were not supportive of them. Improved foreign exchange earnings will support Nigeria’s balance of payments position. Nigeria’s current account has already moved from a deficit of $15.3 billion in 2015 to a small surplus in 2016. Moody’s forecasts a positive balance of payments outlook for 2017, taking into account additional external borrowing and stable reserves of around $30 billion despite some volatility during the year. The significant narrowing of the parallel rate spread as a result of the CBN’s policies and the creation of the investor exchange rate window should also support portfolio investment inflows, which have historically been substantially greater than foreign direct investment inflows.